Cal Gov slips $1.6 BILLION to Common Core promoters! SACRAMENTO,CA (9/4/14) – The ancient Greek philosopher, Protagoras, stated, "Man is the measure of all things." A man of such wisdom no doubt understood that an off-beat territory to be called, California, would be created where man would bring to light "progressive thinking," with ideas that rational minds would be incapable of grasping. These would be off-the-chain ideas that would affect the world and change its direction (which is the root of Philosophy). California, known affectionately as "The Left Coast," has become (as envisioned), America's Progressive State along with ideas unimaginable to rational thinking people in other locations, as foretold by an ancient philosopher. Governor Jerry Brown (D-CA) screwed up on a contract with Tesla to open a factory in The Golden State, which would have employed 6500 workers (Nevada got the deal as Harry Reid takes his bows), and the same front page today told of a homeless veteran unable to get a housing subsidy. Yet during this very time frame, Moonbeam (nickname for Jerry Brown), grabbed $1.6 BILLION from state funds to dumb down our children by bringing Common Core "education" to California. That was his priority for our tax money? That money came from from the very funds that could help that veteran get housing and bring jobs to California. Instead, he dumped the cash into Common Core, marching to a school near you, to dumb down our greatest resource, our children. Hundreds of classic textbooks have been thrown away and replaced with Common Core printed material. Now when facing a math problem, the student is told to figure out...now get this..."the most friendly answer." How's that again? Common Core, pushed by Bill Ayers and Obama, has removed traditional history and literature, replacing it with, "information finding." And that is not by textbooks, but by going to Google. All research skills will be dampened. And that is the purpose, to knock down classic education. This is so important to the Communists that a $500 million bribe was given in Tennessee to push it in. Fortunately, a California man, Jeff Belle, has hopped into the fray to put a stop to the madness and bring sanity back to the U.S. School system. He is running for the County School Board of the 5th District of Northern California, which includes, Bay Point, Antioch, Oakley, Brentwood and Discovery Bay. He is determined to see Common Core hit the floor and to restore sensible education. 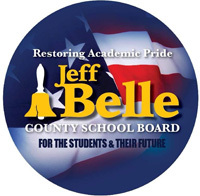 Mr. Belle said that he is committed to "restoring academic pride for students and their futures." He feels that no matter what neighborhood a student comes from, with the proper teachers, that student can succeed. What happens in California is usually picked up throughout the nation. One man can trigger this very positive chain-reaction which is sorely needed at this point to get our schools back to the classical education it was in the beginning. It is to be noted that the school system in America was started by the church. A combination teacher/philosopher, Mr. Belle, in a personal interview, stated firmly that "A child's future should not be determined by their zip code." He says the teachers MUST set an example with this thought: "If you can't see it – you'll never be it." That is a valid challenge for all of us, to be a POSITIVE example. As for teachers, he cautions, "Caring must precede teaching." Jeff Belle has solid experiences to back him up. 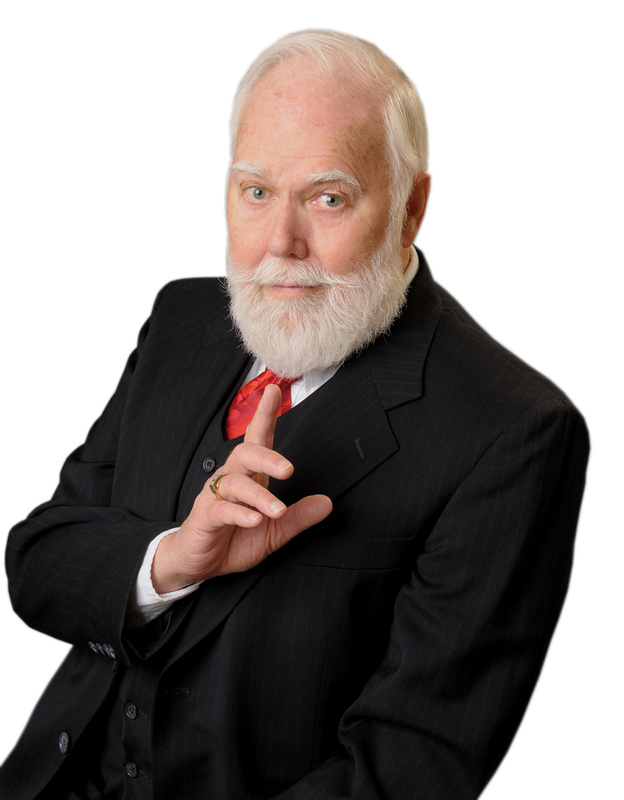 He worked in D.C. for a Republican Senator and a Congressman. After Washington, he worked as city manager, coordinating five towns in Oklahoma, then, served as a registered lobbyist in D.C. and Oklahoma for tribal governments, universities and banks. He currently serves on the County Transportation Authority Advisory Council, County Emergency Medical Care Board and, the County Tobacco Prevention Coalition, as well as being active in his church. Mr. Belle's opponent, Cynthia Ruehlig, whom I love and her husband, Walter, has made some moves that has cost her this vote. For example, an outgoing school superintendent whose salary was – and pension will be – $220,000 a year, voted to give this superintendent an extra $40,000 a year boosting that pension, while at the same time, 38 school staff members had to be laid off due to lack of funds. This was not clear thinking. Candidate Jeff Belle thinks much differently. We need him. California needs him. The nation, who will follow this California example, needs him. Join Belle in ringing the bell. Quick Extra Note. I do love California mainly because animals are protected and treated well here. It is for that reason that I make it a point to hug a liberal every day.